Kirkby Stephen Repair Café helps to reduce waste sent to landfill, saving money and resources by using expert volunteers to fix everyday household items. We have a friendly team of DIY and sewing experts ready to take on your repairs. Bring along any clean clothes, electricals, jewellery, toys, small items of furniture etc … that are in need of attention and we will do what we can to help! And even if you don’t need anything repairing then you can come along and enjoy a hot drink and a delicious cake made by the fabulous team at Augill Castle! 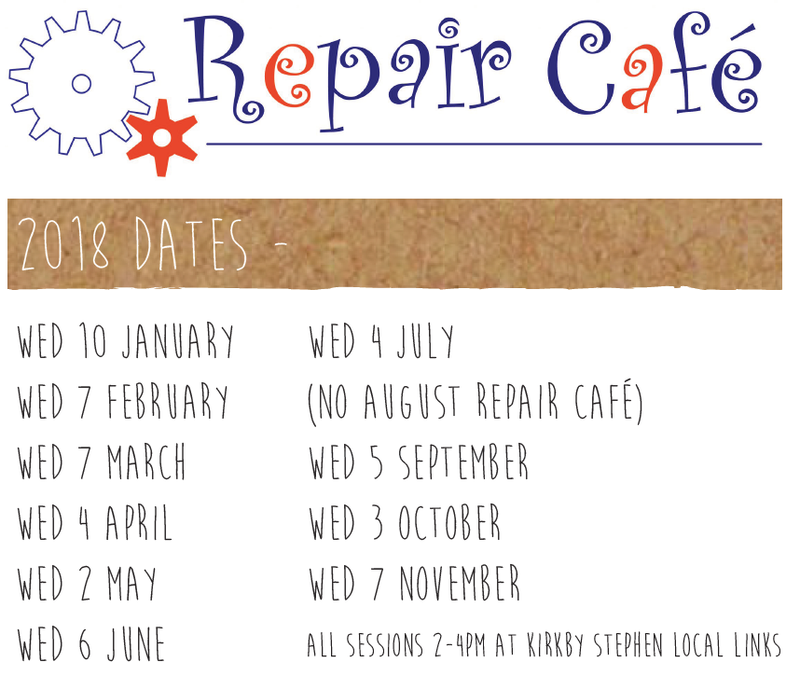 All repairs are free but donations to keep the repair café running are welcome.